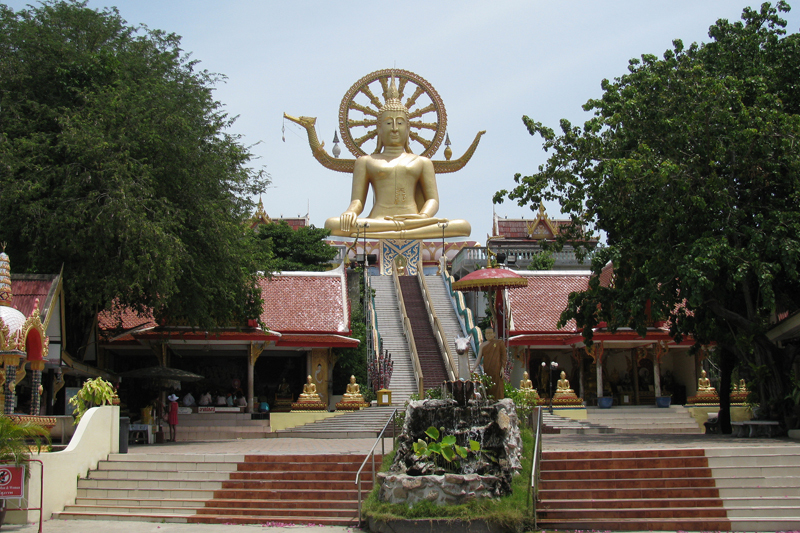 Wat Plai Laem is a Buddhist temple compound on Samui’s north-east coast of Samui, featuring a striking white 18-arm image of Guanyin, the Goddess of Mercy and Compassion. 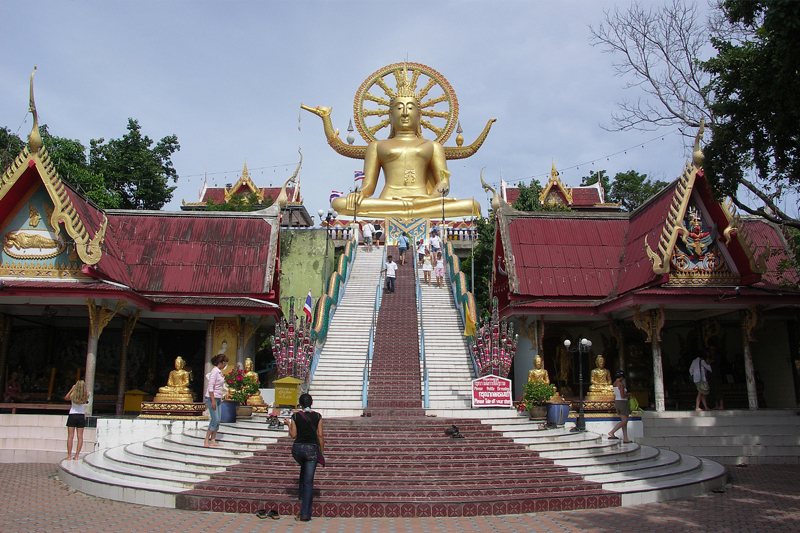 Close to the Big Buddha temple, Wat Plai Laem offers visitors a view into Chinese-Thai beliefs as well as some elaborate Buddhist-themed art and architecture. Wat Plai Laem is a living and active temple, where devotees come daily to pay homage to Guanyin and the Buddha, who is also depicted in a number of statues and murals around the temple. This is a relatively new temple but the art techniques used in its creation are centuries-old and based on ancient beliefs. Adding to its feel of tranquillity, the temple is surrounded by a lake, which is teeming with fish. Visitors who make a donation to the temple are given a bag of food to feed the fish.